Haiz...second week of "school", Mamarazzi already "taught" me to "ponteng"(play truant). Don't worry. This is a recycled photo taken way back in November when I had the fever. 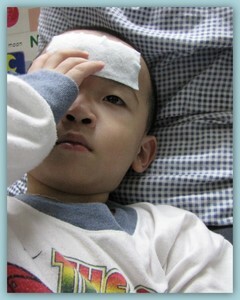 Today, my nose ran away but no fever. Mamarazzi says "ponteng lah". Otherwise, my new friends nose would run away too if they sees me without nose. She text the Principal that I would skip school a day or two. The Principal replied "noted with thanks. Take care". It's so weird. Each time I fall sick, Mamarazzi sure to cook "Invalid Meals" for me. Last round we had "Steamed Mince Pork with Salted Egg". Very easy to do. Just add a salted egg and a bit of pepper into a plate. Mix it well. Then steam. 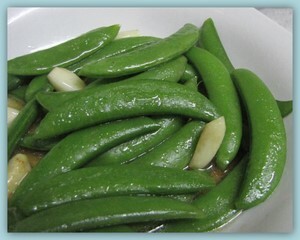 Yummy to eat with rice. 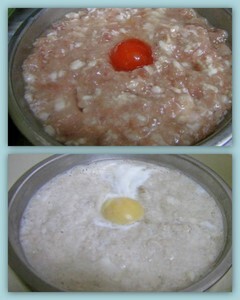 Today, Mamarazzi made "Steam Mince Pork With Tung Choy". Also very yummy. Then she would fried some green. Last round was sweet peas. This round was French Beans. Sobs...but this round don't have Grilled Dory Fish. The Grilled Dory Fish really nice to eat. No bones at all. Grilled with Lemon Pepper. Mmm.....yum yum...bit bit salty bit bit sour bit bit spicy...just nice to chase away the flu bug. Poor kucing....hope you recover soon. God bless! 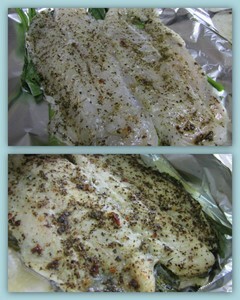 My husband really loves Grilled Dory Fish, His favorite. Plain porridge...plain porridge nothing else!!!! get well soon... hopefully your nose come back asap ya..
Wishing you a Happy and Prosperous in Health and Wealth in Dragon Year! What does it mean by invalid meals ah? Hehe oohh hopefully your nose will come back soon ya! Happy CNY!! eat bread n porridge will get well soon. Thats a simple recipe and nice. Like I always say, simple cooking can be the best at times. Hope your little one with recover soon and more with the CNY, I am sure he has so much to look forward to. Take care small kucing! Must get well fast fast to wallop CNY food!! I sure hope he gets to feeling better soon!! 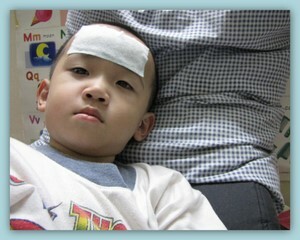 Now sick better than sick when CNY, all virus come out then can enjoy CNY! I hope your nose found its way back, otherwise how are you gonna smell all the nice CNY food? LOL...nice nice steamed oink oink..just the dish to make me "hoi Wai"
ya zoom zoom super fast! Ya found its way back but didnt win any marathon though.